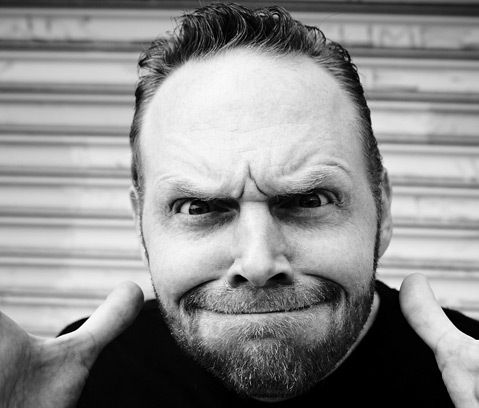 Comedian Bill Burr ripped through an hour of material from his latest tour, Bill Burr: 50, on Friday, February 15, to a packed Arlington Theatre. Burr tackled a wide range of topical issues, such as artificial intelligence, the #MeToo movement, and the president, earning constant big laughs and a standing ovation at show’s end. Consistent with his loose style, Burr strayed from scripted material to poke fun at Santa Barbara, asking why people would want to visit just to walk along a street for hours and get lost in retail. He even took a swing at an usher’s poofy white hairdo, much to the delight of the audience and the usher himself. Burr said he didn’t understand why a little boy with a white balloon attached to his wrist had been wandering through the crowd. What really exemplified Burr’s mastery, however, was his casual stream-of-consciousness approach that makes him appear to be in the moment and not over-rehearsed. Burr would often throw out a comment on a controversial topic as a premise, drawing clear discomfort from portions of the crowd. He’d then make subtle jokes, eventually arriving at one big killer that always won back the audience. Burr’s new material is testament to why he is regarded as one of the best stand-ups in comedy. Burr is filming the tour in March live at the Royal Albert Hall and is working on the fourth season of his Netflix show, F Is for Family.